Stock status is current as of 4/20/2019 4:16 AMET. 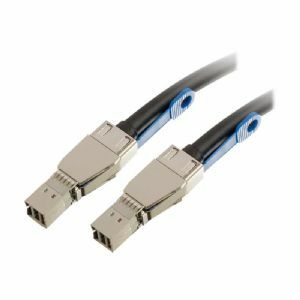 Connect storage area network (SAN) devices, hard drives, or other SAS interface devices with this SFF-8644 to SFF-8644 Mini-SAS cable HD. This cable is designed to meet the rigors of the next generation high-performance networks, servers, workstations and desktops, supporting data transfer rates of up to 12 Gbps. Each cable is engineered to utilize the optimal wire gauge and constructed of silver plated solid copper to carry full bandwidth over the entire length of the cable. The focus on quality and performance ensures that the 12Gbps data transfer speed is available to each storage device.